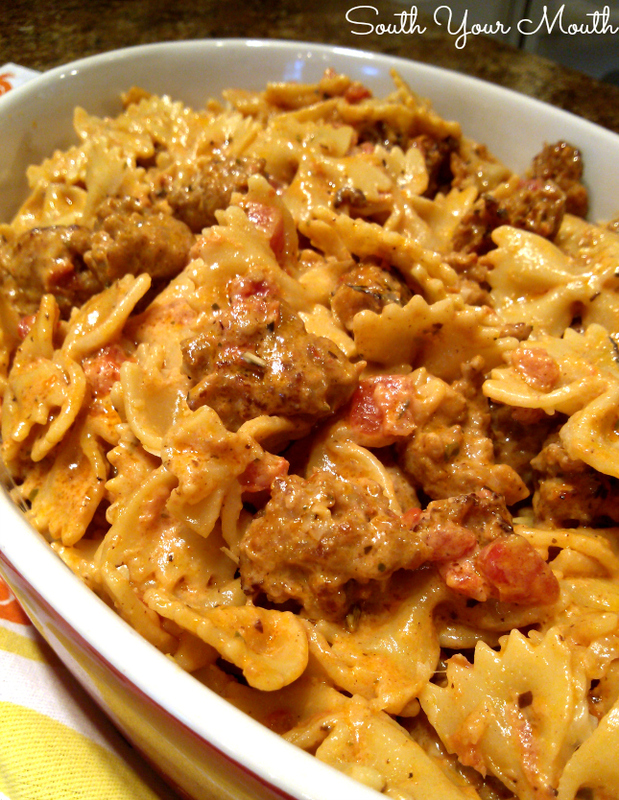 A quick and easy creamy pasta recipe with Italian sausage, cream, tomatoes and parmesan cheese. I think I live in one of the very best places in the world. We’re in central South Carolina which means we can be in the mountains or at the coast in less than two hours. We can easily pack up and scoot to one or the other for a quick getaway which is exactly what we did yesterday! We spent the night in Isle of Palms near Charleston and were able to spend the afternoon sightseeing downtown, do some shopping, have a great dinner and hit the beach all before we headed home today. And I was home in time to whip up some new recipes for the blog. Holla! And can I just say... I am feeling so very blessed lately. As I was floating in the ocean this morning I was just filled-slap-up with thankfulness. I was hand-in-hand with my Angel Baby (we're the only two who can just simply float on our backs - a trick I inherited from my Nanny), letting the salt and the sun and the sand cure all that ails me and was just overcome with gratefulness... that my family is healthy and whole, that we were able to be there together enjoying each other. Even if it was just for one night. My cup runneth over. Anyway! The first recipe I want to share with you is this insanely delicious and easy pasta dish with Italian sausage and creamy tomato sauce. This recipe can easily be doubled if you’re serving a crowd and goes perfectly with a green salad and crusty Italian bread. Cook pasta in liberally salted water per manufacturer’s instructions for al dente preparation then drain well. Meanwhile, brown and crumble sausage in a large skillet over medium-high heat until sausage is cooked through. You can drain your sausage at this point if you have an excessive amount of rendered fat. Add drained tomatoes, oregano, garlic powder and salt and stir well. Add cream and bring to a slight boil. Reduce heat to medium and simmer, uncovered, for 8-10 minutes or until sauce is reduced and thickened. Remove skillet from heat then add cooked pasta and parmesan cheese. Stir to combine then serve. Serve with additional parmesan cheese if desired. I am a somewhat recent follower to your blog, and I also just moved to Columbia, SC at the beginning of the year! We have been to IOP twice recently and loved it! And, that is why I hope to some day live in your state! The dish sounds yummy! Made this for supper last night - very good! Just found your site via DeepSouthDish. Made this recipe, it was good!!!!! You didn't specify what size bowtie pasta, and I got the large size of bowtie pasta, that was to big. This week I got a box of the small size pasta when I make it again. I see in the picture it is the small size. Made this for dinner. EXCELLENT reviews from the family and the leftovers are already claimed for lunches. The pasta absorbs a lot of the sauce, so do not be worried if it is not as thick as you'd expect. If anything, next time I think I'll make just a bit more sauce to add to any leftovers. My sauce was a little more runny than I expected, but still a good dish. A great keeper for weeknight dinners once school resumes and things get hectic. Yummy. Thanks for sharing. Hi Mandy. I've had your site bookmarked for months and have tried many of your recipes. I love that you use simple ingredients and make great tasting food. It is nice to change things up a bit and my family loves the home cooked meals. I made this for dinner tonight. I made it exactly as you posted and it turned out great. It is so yummy. I think that I will try it with mild sausage next time though. The hot is a tad spicy for my tastes. Than you so much Mandy, I am going there now !!!! I live in SC too! I'm in Irmo SC. Love being a day trip from beach or mountains :)Just found your blog, love every recipe I've found so far! My boyfriend and I LOVE this dish. We make it about once a month! Aloha from Hawaii! Made this last night, and it was wonderfully delicious. Thank you. Now for my question...what's the best way to reheat the leftovers? I live in central NC and I feel the same way. I can be at the beach in two hours and in the mountains in a few too. I love it! This looks really good and my little picky eaters love sausage and pasta so they would probably eat it. LOVE THIS! Rave reviews from the husband and even my picky two year old ate the pasta. This fits my 2 most important categories when cooking, fast and easy. I used a little mozzarella to thicken the sauce since I didn't have parmesan on hand. My husband requested shrimp and sausage with this next time. Thank you for a new addition to our weekly dinner rotations! I made this recipe last night. We loved the little chunks of sausage, it was like little sausage balls. This is a quick and easy recipe and tasty too! My hubby and two grown daughters and 3 year old grandson devoured this along with a salad and some crusty bread. I was concerned the sausage would be too spicy for him and had a alternate substitute on hand just in case, but it was not. I will be making this again, next time I think I'm going to spice it up when it's just for me and hubby because we love spicy. Thanks Mandy! Exactly what cream are you talking about?? I am a new firefighter but not the best cook. I found this recipe and it has become one of my go to dinners! I always get great comments on this dish from the different crews I work with and just wanted to say thank you! 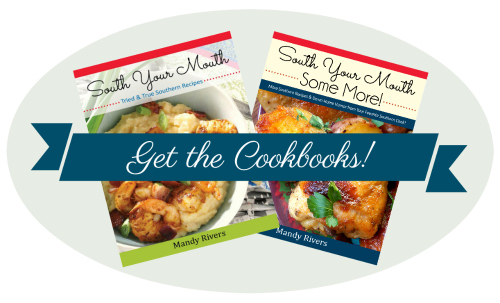 You can definitely consider this recipe firefighter approved! Made this last night and it was YUMMY! My parents were in town and my mother enjoyed it and plans on making it soon. She said she will use a milder sausage. The only mistake I made is that I forgot to drain the tomatoes! No biggie...it was still enjoyed by all :) Thanks! can this be made with ground italian sausage? This is wonderful! I changed a little bit of the recipe by adding some thyme and basil in my dish. When I mixed the pasta and cheeses I added some fresh green onion. Amazing, thank you for this awesome recipe! I made this today with sweet and hot Italian sausage and it was good. In addition to the other recipe ingredients, I added sautéed onion, garlic, sweet peppers, and a little spaghetti sauce since I had an open jar in the fridge. Everyone liked this meal. i made this tonight and we LOVED it!!! the only thing i changed was adding 1/2 a diced, sweet onion!! this was really, really easy and so good!! awesome recipe!!! i made it for dinner tonight. huge hit. my daughter (also known as miss picky) LOVED it. thanks so much! would egg noodles work in place of the bow ties? Like honey garlic sausage? I'm not sure how sweet would taste with this?? But if it's more savory than sweet, give it a shot!